"Jennifer has been planning corporate meetings and gala business events at Victoria Park for several years..."
Jennifer has been planning corporate meetings and gala business events at Victoria Park for several years. With a background in event planning and corporate administration, Jennifer thrives at major event management including organising committees and other stakeholders to bring events to fruition. Jennifer’s favourite event projects at Victoria Park include the annual “Women in Medicine Breakfast”, gala “Dinner For the Profession”, and MRIAQ Golf Day. The Victoria Park team thank Jennifer for her support and proudly name Jennifer 2019 Corporate Ambassadors! 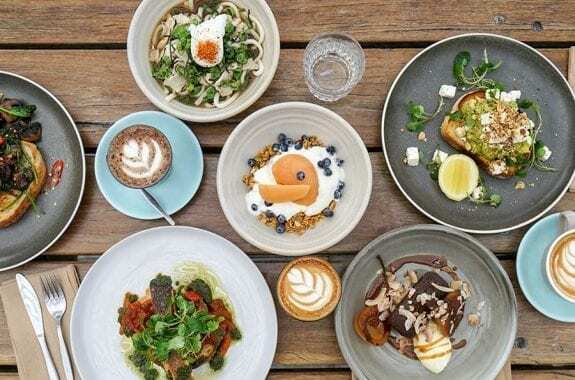 "Bridie remembers first playing Putt Putt at Victoria Park when she was just 4 years old. A...."
Bridie remembers first playing Putt Putt at Victoria Park when she was just 4 years old. A decade later she still loves spending time at Victoria Park, as does Patrick, one of her three younger brothers. 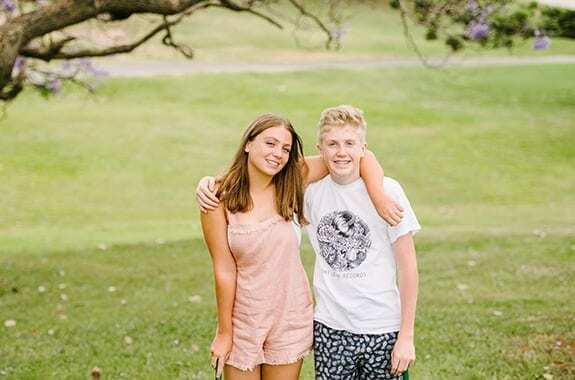 Bridie and Patrick love how much fun they can have with their friends at Victoria Park, playing Putt Putt, visiting the Driving Range or simply enjoying a meal at the Bistro. 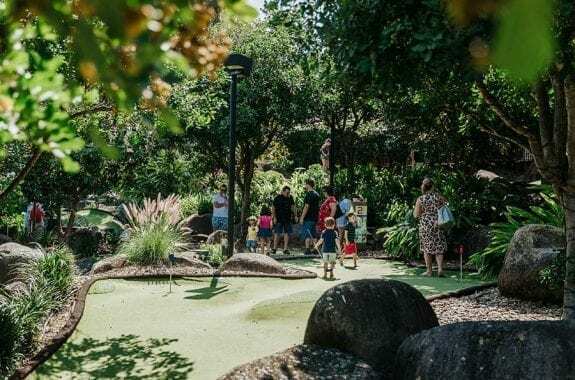 If you’re thinking they’ve mastered the Putt Putt course then think again, they say they find a new trick for getting a hole in one every time they come back. The Victoria Park team thank Bridie & Patrick for their support and proudly name them 2019 Fun Ambassadors! 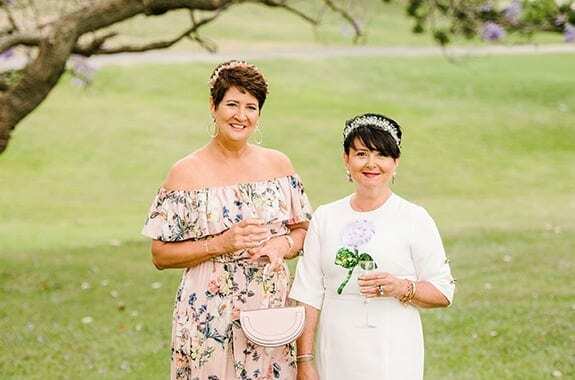 "Karyn and Kerri met through their sons and together have attended a range of events at Victoria Park including...."
Karyn and Kerri have been attending events at Victoria Park for over 13 years! 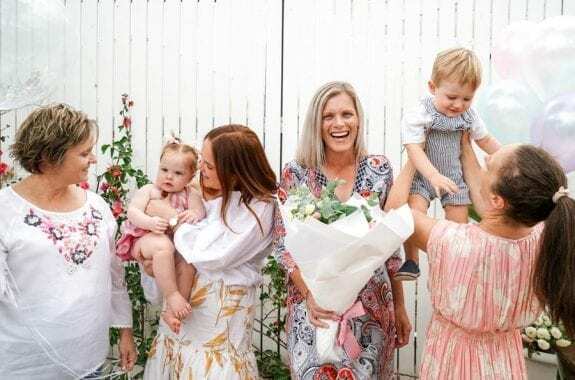 Both proud mothers of boys, Karyn and Kerri met through their sons and together have attended a range of events at Victoria Park including Mothers of Boys fundraising luncheons, high teas, wedding receptions and family birthday parties. Great friends, the ladies have also supported Victoria Park’s Melbourne Cup gala for three consecutive years. The Victoria Park team thank Karyn and Kerri for their support and proudly name them 2019 Event Ambassadors! 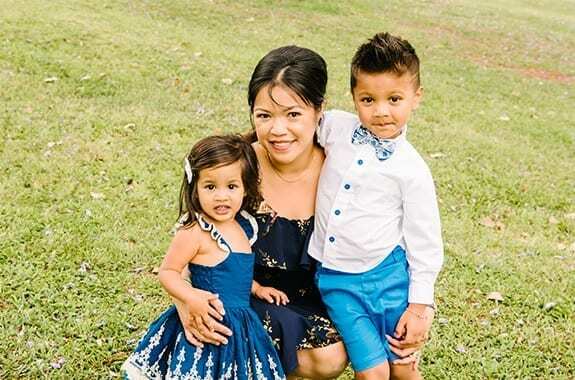 "Alicia and Jayesh, together with children Zayne and Chloe, recently...."
Alicia and Jayesh, together with children Zayne and Chloe, recently held Chloe’s 2nd birthday party at Victoria Park Bistro. It had been several years since Alicia and Jayesh last visited and they were excited to explore the new playground, kid’s games area, and jumping castle with their children. Since Chloe’s party the Kasim’s have returned for many meals and a few rounds of Putt Putt as well. Later this year they look forward to returning to celebrate Zayne’s 6th birthday at Victoria Park. The Victoria Park team thank the Kasim family for their support and proudly name them 2019 Family Ambassadors! 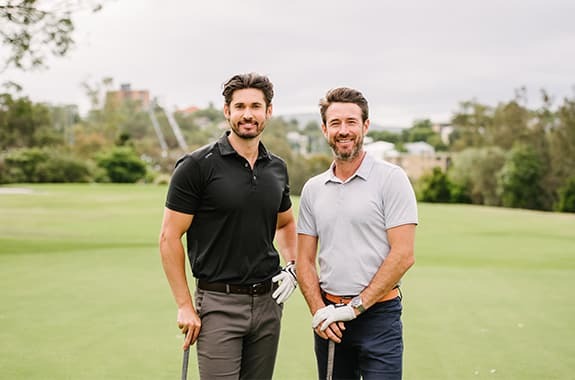 "Mark, a long time golfer, first introduced his friend John to Victoria Park and the game of...."
Mark, a long time golfer, first introduced his friend John to Victoria Park and the game of golf three years ago, after they struck up a friendship at a personal training session. With hectic work schedules, they try and make time for a weekly late-night hit on the range to catch-up and keep their skills up to scratch. Mark also often brings his nephew and niece down on a weekend for a game of Putt Putt and bite to eat in the Bistro. Over the year’s Mark and John have loved seeing how Victoria Park has developed, growing its family friendly facilities. The Victoria Park team thank Mark & John for their support and proudly name them 2019 Golf Ambassadors! 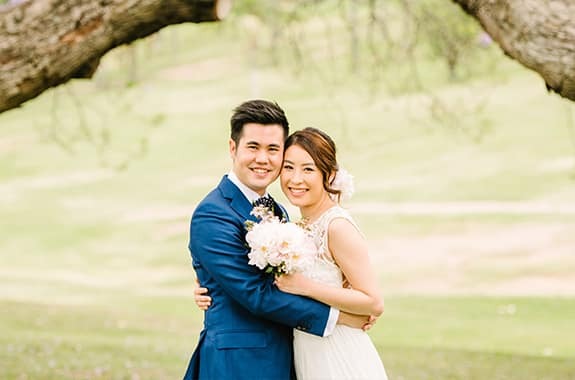 "Bobo and David enjoyed a fun-packed wedding day at Victoria Park with endless...."
Bobo and David enjoyed a fun-packed wedding day filled with endless smiles and laughter in Victoria Park’s Marquee, though their journey started long before that! The pair first met at kung fu martial arts school where David, a long time student, noticed a beautiful new girl across the room (Bobo). Fourteen years later the couple exchanged vows at Victoria Park, enjoying their special day with many family and friends. The Victoria Park team thank Bobo and David for their support and proudly name them 2019 Wedding Ambassadors! 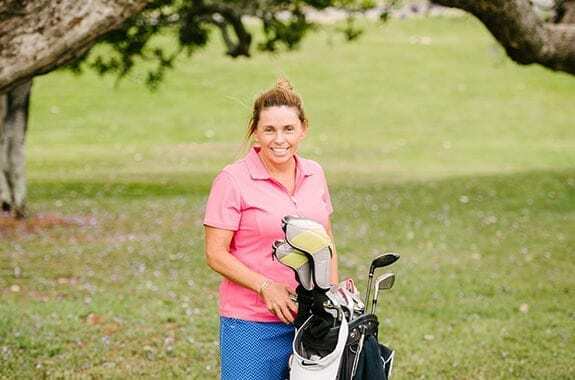 "Kate, a mum of four working in the education industry, discovered golf as a beginner at Victoria Park..."
Kate, a mum of four working in the education industry, finds time for golf at Victoria Park whenever she can. It was through her work at a local school that she was first introduced to Victoria Park three years ago. Kate decided to sign up for ladies beginner golf lessons and hasn’t looked back since, now playing every week with the lifelong friends she has made along the way. Kate loves the social aspect of golf at Victoria Park and continues to get regular lessons now that she has completed the ladies lesson pathway. The Victoria Park team thank Kate for her support and proudly name her 2019 Learning Ambassador! 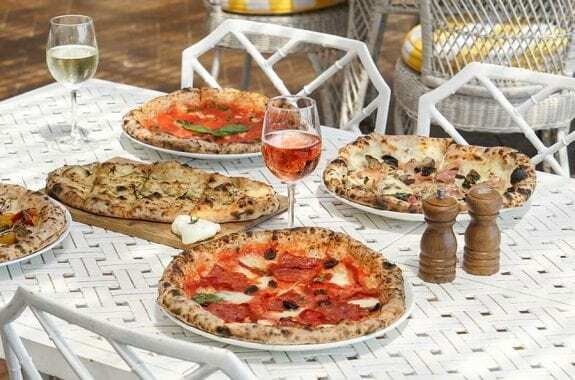 Alfresco dining with golf course & city skyline views. 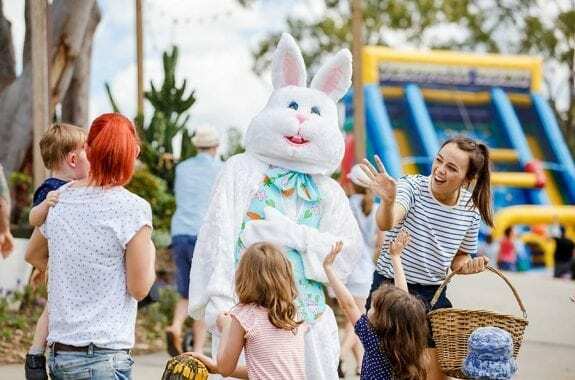 Check out the making of Victoria Park’s 2019 brand campaign “fun starts here” and meet our fun ambassadors! 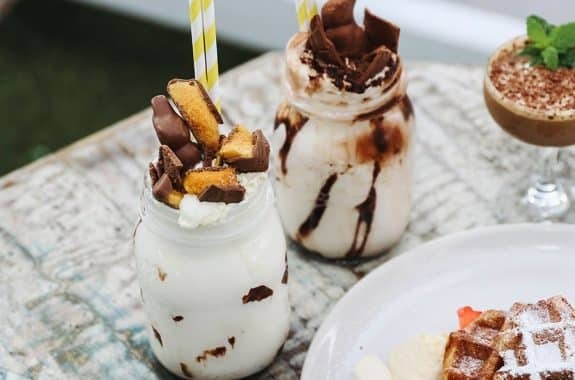 Situated just two kilometres from Brisbane City, Victoria Park is an inner city sanctuary combining state of the art golf, putt putt, function room hire, wedding venues, and restaurant facilities all in one stunning setting. With a kids playground open seven days; and giant games and food market carts open on the weekends, Victoria Park is the perfect destination for visitors of all ages! Visit soon for a truly amazing experience.